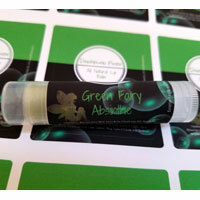 Keep your lips soft and smooth with All Natural Lip Balm by Dandelion Fury. Rest assured that you are only getting the best. 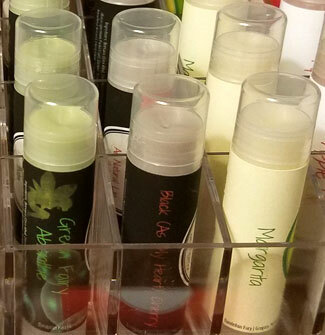 These Lip Balms are made in small batches with only top ingredients including Shea Butter, Cocoa Butter, Coconut Oil, Vitamin E Oil, and of course Beeswax to promote softness and moisture. All 100% pure! 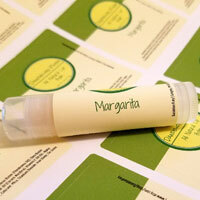 Flavoring and colorants are added to each individual batch, consisting of a “cocktail themed” line of lip balms. Flavors include Margarita, Mojito, Pina Colada, Absinthe, and Black Cherry. Jennifer, the owner of Dandelion Fury, also makes special flavors around the holidays such as Peppermint, Egg Nog, Pumpkin Pie, Gingerbread, and Jelly Bean. Summer is one of the worst seasons for your lips. Despite the high humidity in much of the region, lips go through high heat, blazing sun, and just plain old wear and tear. They can get chapped, reddened, dried out, and can even peel. But if you know how to take care of them properly, they can be oh so soft. Many people pay so much attention to the products they’re using on their face, legs and hands and yet, give little thought to the lip balm or lip gloss they’re applying to their lips multiple times throughout the day. Our lips are one of the most sensitive and environmentally susceptible parts of our body, yet, many consumers thoughtlessly purchase and use commercialized lip brands that not only contain harmful ingredients but additionally, do nothing to naturally soften and protect the lips. 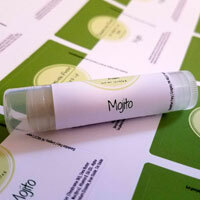 So why is it important to use an all-natural lip balm? 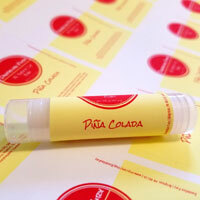 Buy Dandelion Fury All Natural Lip Balm! I have these! They are awesome and leave my lips so soft. I love having natural products. Plus.. Original flavors.. Mojito!? Yes!